Virginia, In Louisa County Court Clerks Office November the 10.th 1836.
a Justice of the peace for Louisa County. In Louisa County Court November the 1836. The foregoing Register was this day compared by the court with the said Hembry M. Powell and is ordered to be certified to be correctly made. 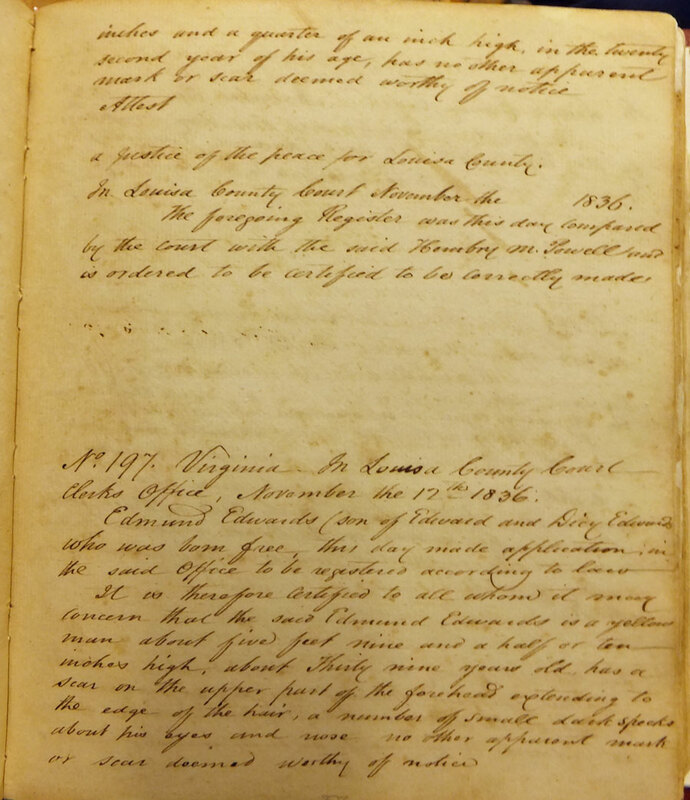 “Louisa County Free Black Register Book 1, No 196B & 197A,” Piedmont Virginia Digital History: The Land Between the Rivers , accessed April 25, 2019, http://piedmontvahistory.org/archives14/index.php/items/show/625.